Set feet in the tub so that water covers about ankle deep. 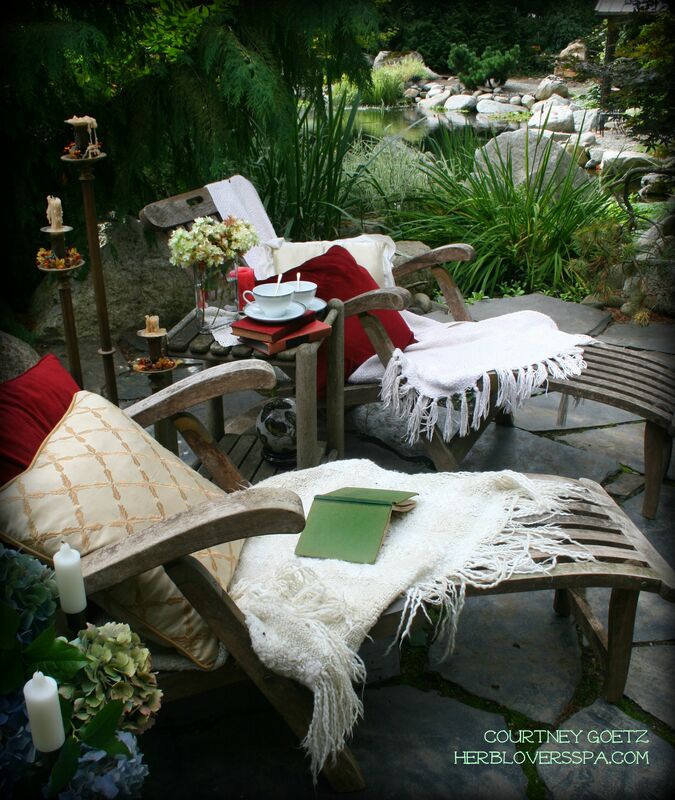 Relax and enjoy the benefits of the fragrant herb releasing the tension of the day. You can also customize the recipe with other favorite herbs by adding lavender, lemon balm or rosemary instead of the peppermint. Think of this as an afternoon brain fog-lifter. Large glass bowl or small sink with stopper. Pull hair away from face and gently wash skin, with a simple, clean water rinse, unless skin has heavy makeup. Pat dry with a towel but leave skin dewy with some moisture. Place a generous handful of fresh, clean herbs in a glass bowl. Pour boiling water over them (about 3 cups) and allow to steep for about 5 minutes. Make a tent to capture the steam by covering head and shoulders with a large towel. Hold your head 12 inches away from steaming water and close your eyes. Take a few deeps breaths to inhale the fragrance of the herbs. Steam skin for 5 to 10 minutes. Remove towel drape and splash skin with cool water. Ugh, sometimes the busy of a day sits on your skin and feels…um, well grimy. This easy herbal facial will brighten skin, remove dead skin cells and cleanse dirt and oils off. Mix yogurt with the cornmeal face scrub until it becomes a paste with nice, spreadable texture. Add more yogurt, if needed, to make it easy to smooth on skin. Rinse face, pat dry. Mix blend with just enough water or yogurt to form a paste. Gently massage paste over face and neck avoiding the eye area. Take it slow and easy with a massaging motion to add benefits of the herbal mix and yogurt but also the calming massaging action on your face. Rinse off and pat skin dry. Place tea bag in a small saucer. Pour 1 tablespoon of warm water over the bag to re-hydrate the flowers. Wait for the sachets to cool down slightly. Gently squeeze excess water. Lie down, relax, close your eyes and place the tea bags over eyelids for 15 minutes. 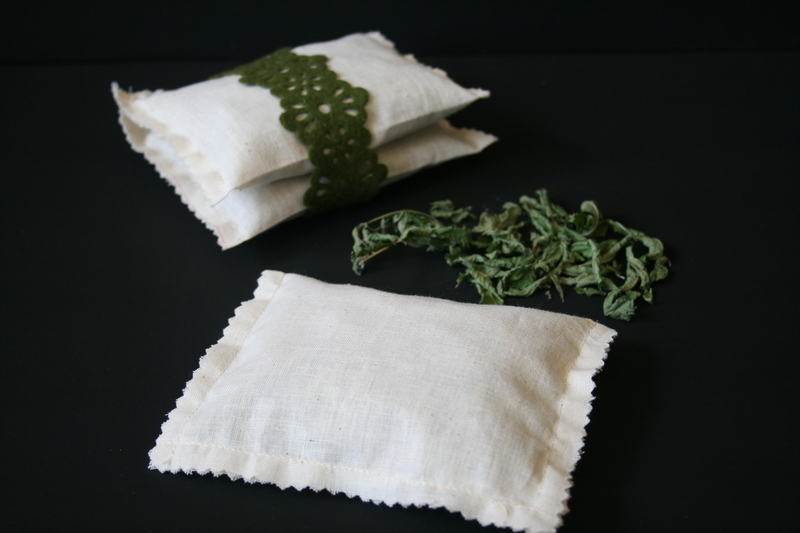 How to make handmade tea bags with cotton muslin and herbs from your garden can be found on page 137 of the Herb Lover’s Spa Book.